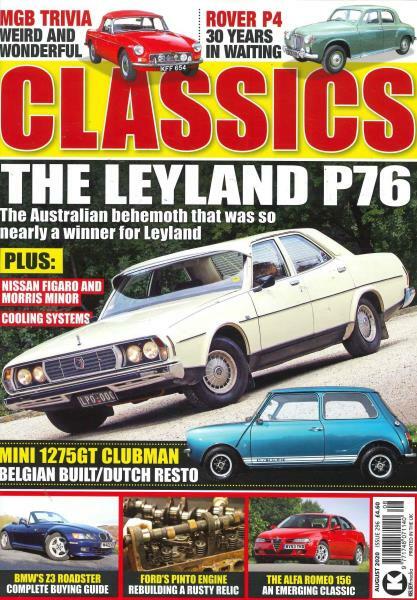 Classics Monthly Magazine is a magazine for those who cannot get enough of a dose of British and European Classic and sports cars from the 1930s to the 1980s. Buy a single copy or subscription to Classics Monthly magazine. This is also the time we can remember from cinema classics, when the car, as a means of private transport and ownership was changing the landscape of the city. Conversations in the car, cars parked in the driveway and the retailers caught the eye of everyone in the audience for their sleek designs and the luxury that they were indications of. The above lines will reach out to the fan who derived his love of old cars from magazines or movies and wishes to know more. Not only does this magazine come with a great dollop of technical advice from the experts regarding classic cars that you may possess but also fantastic advice for those private collectors who are looking to make a worthwhile investment in the cars of their dreams. Buyers and sellers worldwide come together in this magazine for the love of old cars. As many owners have already done, restore your car to its finest running order and even better, do it yourself! Many stories in our magazine come from proud owners who have experimented and created the perfect models for themselves through the tips we have provided them.